Your resource for all things shoegaze and dream pop: TONIGHT! WTSH Best Tracks of 2015 Part 3 on DKFM Shoegaze Radio || Stream it live @ 10pm EST. TONIGHT! WTSH Best Tracks of 2015 Part 3 on DKFM Shoegaze Radio || Stream it live @ 10pm EST. 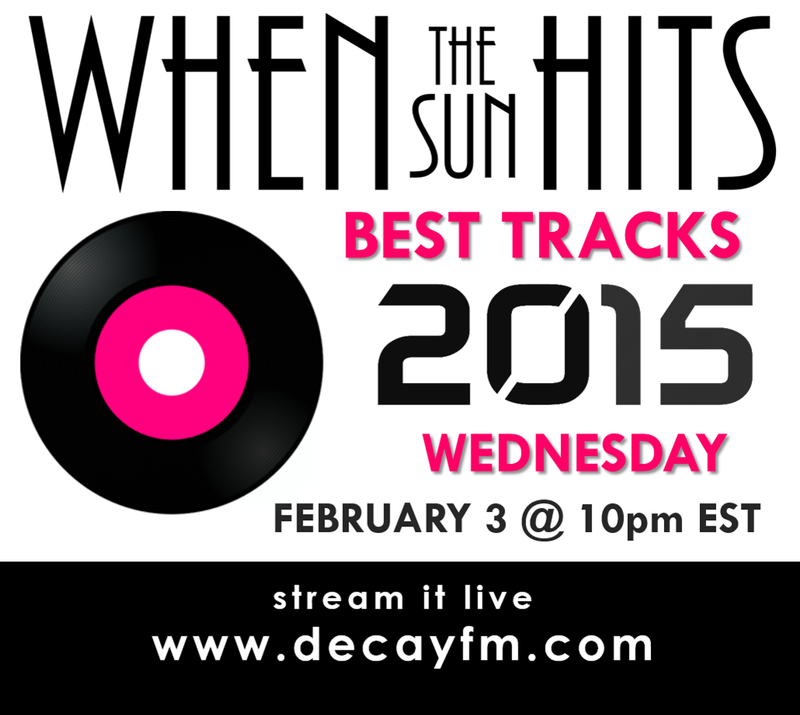 last year’s best songs, so don’t miss it! Soft Kill, Dead Leaf Echo, Presents for Sally, Be Forest, Echo Lake and MORE! Bandcamp Track of the Day: Crescendo || Haunted. Video: Force Publique || Bind (live). New Single + Video: Lush || Out Of Control. New Single + Video: Rev Rev Rev || Nightwine. WTSH Interviews Gregory Cole of CRESCENDO. New Video: The KVB || In Deep. New Video: Schonwald || Fury. Bandcamp Track of the Day: Lubec || Late Bloomer. WTSH Exclusive Premiere: Tender Age || Lowers. New Video: Pale Dian || In A Day.